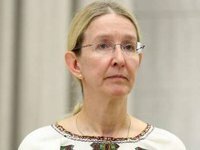 Ukraine's Health Ministry intends to change the procedure for creating expert groups drawing up the lists of medicines for procurement using national budget funds, acting Health Minister Ulana Suprun has said. "Expert groups that draw up the lists of medicines for procurement are working at the Health Ministry, as the ministry makes orders. However, these are not people who work at the ministry. These are experts invited only for drawing up the lists. Now we are changing the procedure for creating these expert groups," she said in an interview with Interfax-Ukraine. Suprun said that on December 1, the Health Ministry started the medicine procurement procedure using 2017 budget funds. First medicines bought using 2016 budget funds have been delivered. "In 2015-2016, we were not effective in the issue, but we are sure for 2017: everything would be changed. We would change the procedure. Today we are finishing it," she said.